Relaxation Exercises: These exercises help to prepare us for meditation. In order to calm the mind we need to calm the body. In turn, by calming the mind we calm the body. Two breathing techniques (pranayama) are used; both are natural tranquilizers which help to harmonize and balance the subtle energies. Aside from the pranayama, Yog Nidra (progressive relaxation) is used to further deepen relaxation as well as focus the mind. 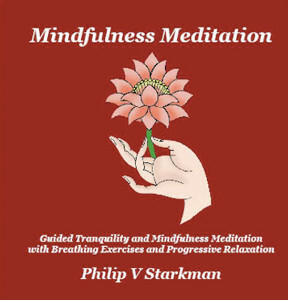 Samatha (Tranquility Meditation): This meditation promotes a calm, concentrated mind that serves as a springboard for Vipassana (Mindfulness/Insight) meditation practices. Vipassana (Mindfulness/InsightMeditation): Vipassana strengthens concentration and leads to an awareness of a subtle level of consciousness that eventually allows us to see clearly. In other words, we eventually gain direct insight into our true nature. 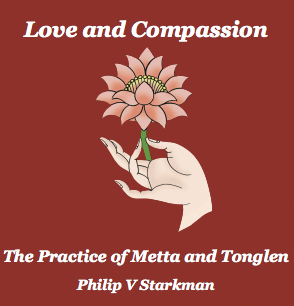 Metta: The Buddha taught a system that leads the willing student from a state of constricting loneliness, isolation and deep suffering to an expanded state of integration and happiness beyond conditions. Implicit in these words is a profound humility and compassion. Geshe Chekhawa stayed with his new teacher for twelve years. Eventually he decided to instruct some lepers in the practice of Lojong, and especially in the part of Lojong called Tonglen. As a result of their efforts in the practice, many of the lepers were cured of their afflictions. President & Senior Consultant, NeoCortex Inc.
“The CD recorded by Philip with guided meditations on Tonglen – Giving and Taking and Metta – Loving Kindness, the profound and deeply transformative practices, are a delightful, clear and gentle guidance for those of us who appreciate an opportunity to be taken onto a journey that has the power to transform one’s life and open one’s heart –by someone who’s life is devoted to a Spiritual Path and who has the ability to walk his talk. My direct experience of listening to Philip’s cd is that he is right here, next to me, taking me into a territory that he knows intimately and I feel safe journeying there with him which I do with delight and awe.